Lewis, I am simply a Twitter reading, working mom, living in Johannesburg (South Africa) who wants to make a difference for my (and all) children in the future. Just this week, thanks to following your Twitter journey, I have stopped buying plastic bags for my shopping and want to buy unpackaged fruit, along with body and face products that don’t do any harm. It’s a small start but it’s not nothing. Thank you for your incredible work. You are a true warrior! And a questions: Who (the hell) do these heads of state think they are, to push through their selfish agendas at the price of SO much, so many (thinking of the USA!, SA, Venezuela, Syria…) ? Since when does one person or even one group have all the answers? Egos are bigger than common sense and a shared humanity. Why, oh why, must our lives and futures be influenced and determined by so few? What an amazing mission! Thank you for working so hard for our Earth. Lewis you maniac.. well done!! ?? Guys like you Lewis make my Life meaningful. 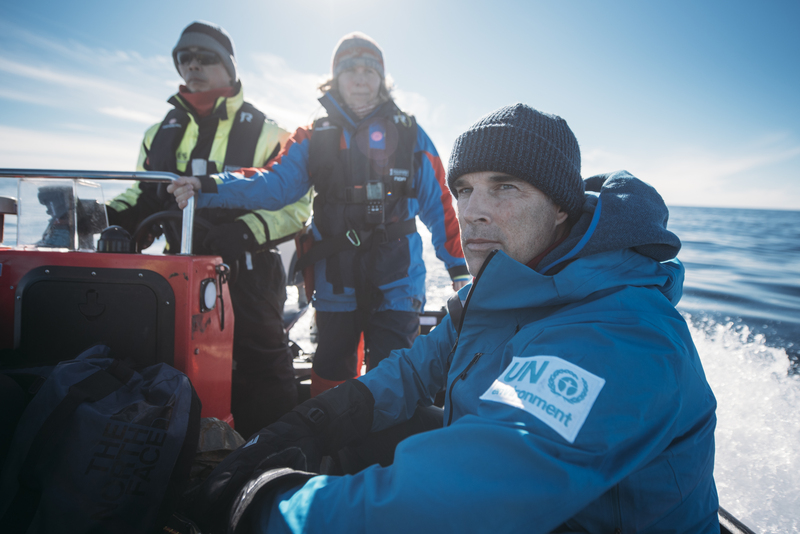 I love everything about my polar campaigns, except for the tense hours just before a swim. 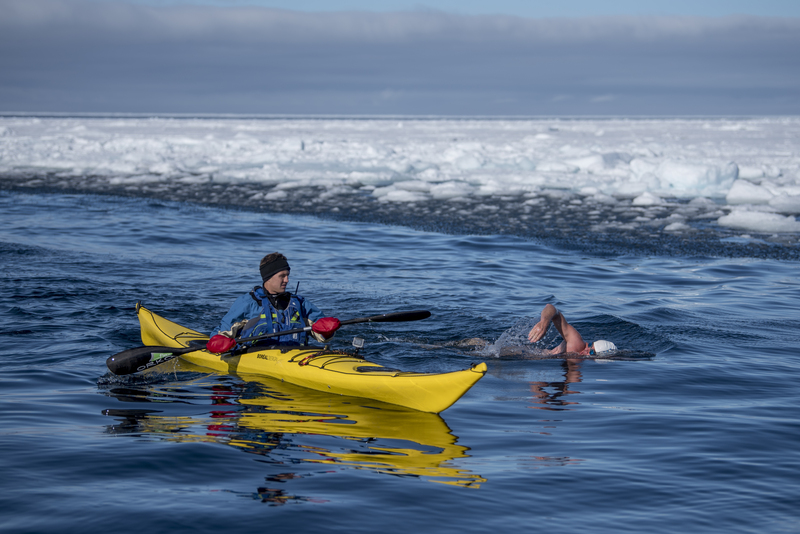 The anxiety before this last swim, along the edge of the Arctic sea ice, was the worst I’ve ever experienced. When I arrived in Longyearbyen, Spitsbergen for the final acclimatization, the water was 10°C (50°F) – and this was just 1,300 kilometres from the North Pole! Yet another example of the runaway climate change we are witnessing in the Arctic. 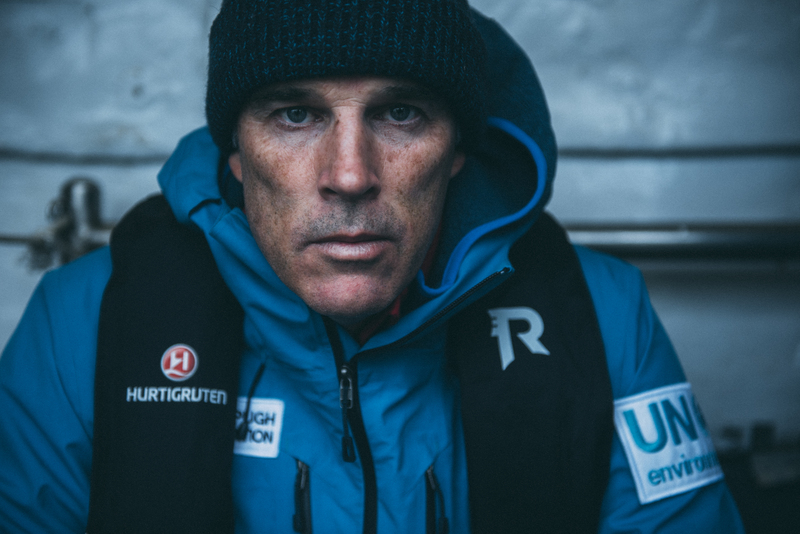 Ten years on, this swim returned us to the High Arctic to show the world the speed at which things are changing, and remind our leaders that what happens here affects all of us. At 22 minutes in the water, it was my longest sub-zero swim, and it took its toll. I don’t remember ever having been so cold. Getting into the support boat was an ordeal. Kelvin Trautman had to stop taking photos to help me. But my hands were so frozen that I could not hold onto him. In the drama that ensued the only way I could hold onto him was by biting his arm, and holding on tight. Luckily he was wearing a dry suit. My body is now bruised all over. 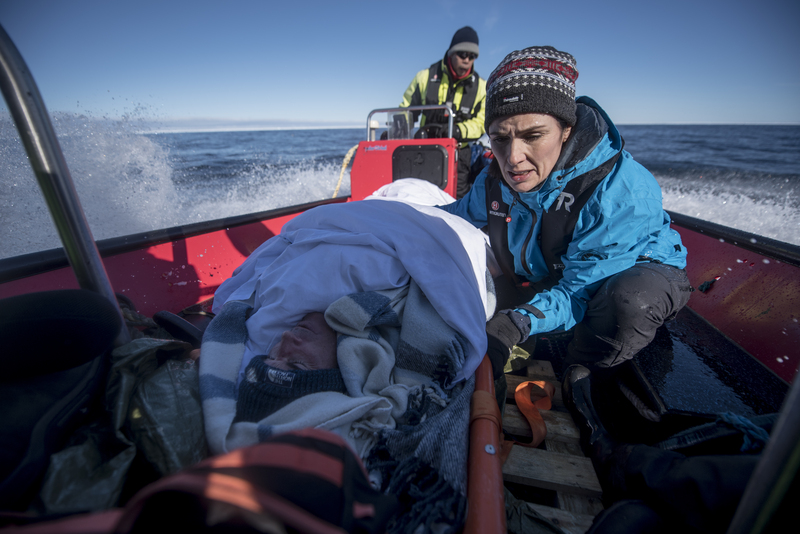 When I get back on shore I’ll be examined by my medical team to find out exactly why. The Sky News team will air their documentary later this year; we’ll advertise the date, but issue a warning. I’ve watched the footage and it does not make for comfortable viewing. It is as raw as it gets.